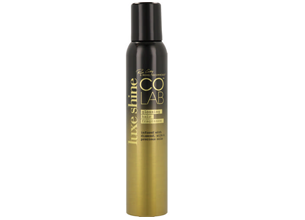 The COLAB London Classic Fragrance Dry Shampoo has a breakthrough formula that fuses the art of hairdressing with the science of formulation. Keep that clean hair feel for longer and instantly revitalise your look. It absorbs oil and refreshes roots with a residue-free, lightweight finish. It also leaves a gorgeous veil of fashion fragrance so now your hair can smell as fabulous as it looks. This dry shampoo has notes of bergamot, rose and musk. Dry shampoo makes life easier! Every girl needs dry shampoo, especially a long haired girl like me whose hair is to my waist. So I found myself reaching for the COLAB Extreme Volume Dry Shampoo more often than not when I’m running late and need a hair “pick me up”. My hair gets oily and greasy by the third day and since it’s a mission washing and blow drying my hair before I run out the door, I just spritz some of the shampoo and off I go, good as new! I found myself quite liking the fragrance and did not find it overpowering at all. Just a few spritz’s in the area by my roots and some slight teasing left my hair shiny and a “just washed” feel to it. It’s really a handy product to pop into your overnight bag or handbag as it can be a real life saver when your hair isn’t behaving itself. The only downside that I found was that with my dark brown hair, it leaves a white cast when you first initially spray it on but as you brush your hair the white cast fades and your normal hair colour shows through. I really enjoyed taking a day off from washing my hair and having a hair cheat day – if you can call it that. I would definitely recommend this dry shampoo to any girl as a must-have!